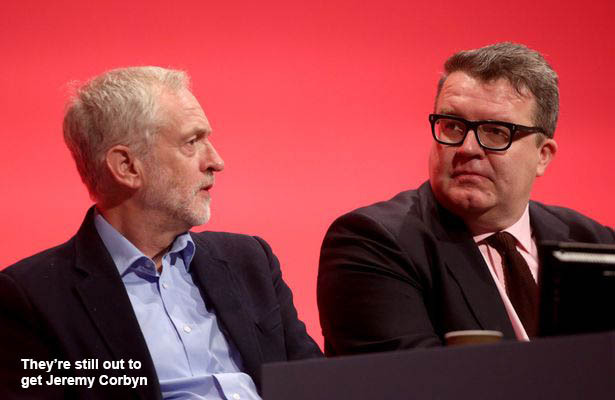 One of the biggest problems the Labour Party has today is its lack of a media outlet. Apart from the occasional email and snazzily produced video, we receive very little unfiltered, unbiased news from Jeremy Corbyn. If this figure is true, that immediately begs the question: how on earth can the right can get away with continuing to claim that anti-Semitism is a huge problem in the party? We also do not know if The Sunday Times is correct when it claims that “the appointment of leftwing members to review leftwing activists’ membership appeals was part of an understanding that would allow centrist members to review their own allies’ disciplinary cases”. It seems rather unlikely that the right of the party – which, of course, initiated the expulsion and suspension of so many leftwing members – would now simply leave everything to the pro-Corbyn NEC left to deal with. Also, how many disciplinary cases are there against “centrist” members? Not many, presumably. But we have to guess here, of course. Even the latest, extensive report sent out by veteran NEC leftie Pete Willsman (Campaign for Labour Party Democracy) does not mention any of this. We cannot even be sure if the January 23 decisions on disciplinary matters are in any way unusual, as we do not know how many cases have been dealt with at previous meetings. The Sunday Times (and those leaking to it) does, however, present the decisions of the meeting as highly unusual, as the outcome apparently “shows the extent of the resurgent left’s control over the party after recent elections to its governing body, where Momentum candidates won a ‘clean sweep’ of new positions”. With a bit of detective work, we can gather that the NEC on January 23 decided that the membership requests from three applicants should come “under NEC review”: They are Ken Livingstone’s “race tsar”, Lee Jasper, who stood against the Labour Party for George Galloway’s Respect in 2012; Kingsley Abrams, who stood for the Trade Unionist and Socialist Coalition in the 2015 general election; and a man convicted of fraud in 1981, for which he served a seven-year sentence. Alan Fogg was a Labour councillor in Liverpool, when he was expelled from the party in 1985 for supporting the Militant Tendency (today’s Socialist Party). He stood for Tusc in the 2016 local elections. The acceptance of his membership application is good news for a number of leftwingers who have been denied membership on the grounds that they have stood for Tusc or Left Unity. It is also an indication that Lee Jasper and Kingsley Abrams will probably be reinstated, too. Good. On his website, Sivier, 48, said it “may be entirely justified” to say Tony Blair had been “unduly influenced by a cabal of Jewish advisors”. He also said he was “not pretending it was a big problem” if Jews were omitted from a list of holocaust survivors, and claimed “I’m not going to comment” on whether thousands or millions of Jews died in the holocaust, as “I don’t know”. Mike Sivier has commented at length on the “libellous article” and, while this writer did not have the time to investigate the whole case or all of the man’s writings, it seems pretty clear that his few words above – which have been taken from a single Facebook thread and seem to form the entire case against him – were presented to the Labour Party by the truly vile ‘Campaign Against Anti-Semitism’ out of context, out of sequence and in a seriously misleading way. In 2008, the SWP issued an explanation of the holocaust that referred to “thousands” (not ‘millions’) of victims and omitted any reference to Jews. Whether this was ‘organised’ or ‘just a mistake’ seems irrelevant. I responded: “I’m not going to comment on ‘thousands’ instead of ‘millions’, because I don’t know” – meaning, of course, I don’t know why the SWP had said that. I have always used the ‘high’ figure of six million Jews who were killed in the Nazi holocaust. Perhaps your reporter should have read my recent articles on Holocaust Memorial Day before typing that reference into his piece? Or, indeed, any of my articles. Clearly, this man is no David Irving, problematic formulations like the “‘high’ figure” above not withstanding. Understandably, the NEC felt it needed to let him back in. According to The Times, “the NEC voted by 12 to 10 to issue Sivier a ‘warning’, but not to expel him, suggesting the new arithmetic on the body had a decisive impact.” Indeed. We also know that Jon Lansman in particular is a firm believer in the anti-Semitism “problem” in the Labour Party, so it is more than doubtful that he would indeed vote for the readmission of somebody who is indeed a “holocaust denier”. We simply presume, of course, that it was the NEC left voting in favour of his readmission, rather than the right – but who knows? As an aside, we also wonder if the voting figure is correct, seeing as there are 39 members of the NEC and the fact that The Sunday Times got another thing wrong: Sivier has actually not (yet) been readmitted, because he is refusing to attend the NEC-instructed “anti-Semitism awareness training”. Well he would, wouldn’t he? No doubt it was his Progress friends on the NEC who leaked the decisions to The Sunday Times – in order, of course, to harm Jeremy Corbyn. One really has to wonder sometimes about the pro-Zionist AWL. In its blind mission to label everybody on the “fake left” anti-Semitic, it fails to grasp some pretty basic political truths. 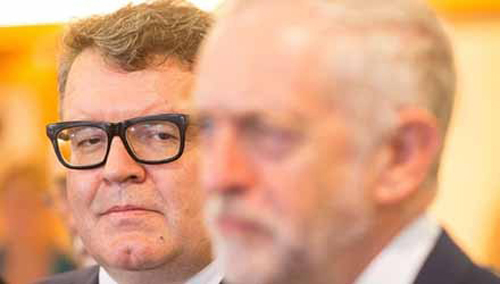 The witch-hunt against the left in the party has nothing whatsoever to do with wanting to stamp out anti-Semitism, real or imaginary – it has everything to do with weakening Jeremy Corbyn by tainting his supporters on the left. Which is, of course, why the witch-hunt is also directed against members of the AWL. Her lack of political astuteness (acquired through years of membership in the AWL) aside, we do, of course, welcome Janine’s readmission into the Labour Party. The party should be the home of all socialists and trade unionists – and there will be plenty of members with perhaps even funnier ideas. Her reinstatement gives some hope that we might be seeing the beginning of the end of the witch-hunt against the Marxist left in the Labour Party. Her case is, however, quite different to that of the dozens (hundreds?) who have been expelled from the party for their alleged support for groups like Socialist Appeal and Labour Party Marxists. It does, however, highlight how the rules are being used, abused and even ignored, depending on who is applying them and for what reason. Janine was expelled from Labour in 2003, after having stood as a candidate for the Socialist Alliance in Hackney in the general election of 2001 and the local elections of 2002. She was expelled under rule 2.4.1. A, according to which “anybody who stands for election … in opposition to a Labour candidate shall automatically be ineligible to be or remain a party member”. It carries an automatic ban of five years. The first accusation is quite funny, of course, because it shows how little the witch-hunters know about the left. The AWL never did more than back a few individual Tusc candidates. She “freely admitted the second, arguing that there are plenty of factions in the Labour Party and that is part of healthy debate”.3)www.janinebooth.com/content/my-exclusion- labour-party A week later, she received an official letter refusing her application to rejoin. It mentioned, however, that she could reapply in two years’ time. Which Janine did again last year, when once more the NEC ruled that it was up to her CLP to make the decision. This time, the local party agreed – no doubt a reflection of the dramatic political changes in its membership. Labour has not had an official list of proscribed organisations since 1973. In 1930, the party leadership produced its first ‘proscribed list’, squarely aimed at the Communist Party of Great Britain, which included organisations and unions influenced by the CPGB.4)www.labourpains.group.shef.ac.uk/dust In 1939 the NEC added the Socialist League to the list, then in 1942 the Labour Research Department (which had originally been founded in 1912 as the Fabian Research Department, an offshoot of the Fabian Society). 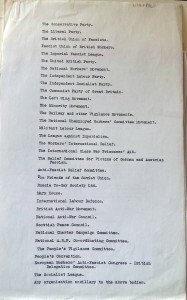 In the McCarthyite atmosphere of the 1950s, a few more organisations and publications were added, including Socialist Outlook and the Socialist Labour League (of which Gerry Healy was a leading member). In 1973, general secretary Ron Hayward abolished the list, because “Difficulties have been experienced in keeping a current record of the many political organisations that are established, many of which are of short life, change their names or merge with other organisations.”5)R Hayward, ‘Discontinuation of the proscribed list’ (circular to secretaries of affiliates and Labour Party organisations, July 1973 In other words, it was not a democratic policy – quite the opposite. The list had been viewed more and more like an entry visa for all those organisations not featured on it. For the Militant Tendency (today’s Socialist Party in England and Wales), the bureaucrats had to think of a new trick: after various failed attempts to kick it out, in 1982 they proposed the establishment of a register of non- affiliated groups that would be allowed to operate in the Labour Party. Militant was invited to apply – and was rejected. Not a few of its members were expelled over the next few years. The bans continued. In 1990, a proposal to ban the newspaper Socialist Organiser was confirmed at Labour’s annual conference. In response, the Socialist Organiser Alliance dissolved and in 1992 launched a new grouping: the Alliance for Workers’ Liberty! Some people claim that this means the AWL and the Socialist Party remain the only two organisations that are featured on the (unofficial) list of organisations proscribed by the Labour Party. Of course, we welcome the news that the list seems no longer to be “recognised”. It has always been a tool of the right to keep the party ‘safe’. A member of the party who joins and/or supports a political organisation other than an official Labour group or unit of the party … shall automatically be ineligible to be or remain a party member” (my emphasis). The first paragraph does, of course, give the impression that there is – perhaps in some well guarded location – a secret list of dangerous organisations or some sort of overview of banned terms (like ‘revolutionary’) that could explain what makes a group incompatible with the Labour Party. Political organisations not affiliated or associated under a national agreement with the party, having their own programme, principles and policy, or distinctive and separate propaganda, or possessing branches in the constituencies, or engaged in the promotion of parliamentary or local government candidates, or having allegiance to any political organisation situated abroad, shall be ineligible for affiliation to the party (my emphasis). Neither the AWL, Socialist Appeal, Red Flag nor LPM have applied for affiliation – though we are very much looking forward to the day when socialists organisations can do so again – an absolute necessity in the fight to transform Labour into a real party of the whole class. It goes without saying that both rules should be abolished (along with a few others!) as part of the long process of transformation ahead of us. According to rule 2.4.1.B, Janine Booth would now have to be expelled again, because she openly admits to being an active member of the AWL. While it obviously makes sense to stop Labour Party members from standing against the party, rule 2.4.1.B has to go. It is wide open to abuse. 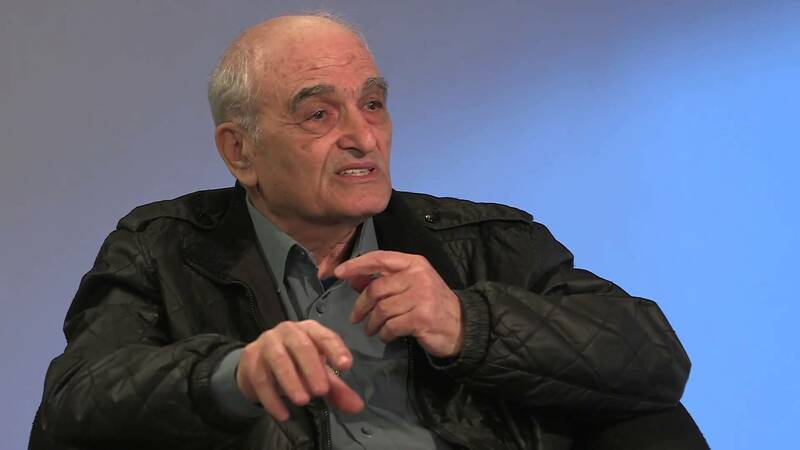 Notoriously, Moshé Machover was expelled for having articles published in Labour Party Marxists and the Weekly Worker. That, apparently, was enough to prove his “support” for a non-Labour organisation. After a national campaign, in which dozens of Labour Party branches and CLPs issued statements in opposition, he had to be reinstated within three weeks. How different from the case of Mike Palin, who remains expelled under the same rule – simply for sharing Facebook posts that included a handful of articles from Labour Party Marxists and the Weekly Worker. All this proves that the problem is not the rules in and of themselves. The problem arises from those in charge of applying them. Of course, we will continue to demand the abolition of the various witch-hunting rules (like 2.4.1.B and 1.2.5.A), but an important part of that fight is to get Labour Party members and branches across the country to protest publicly. The active involvement of the largely pro-Corbyn membership is the best way to aid this necessary transformation – as will continuing pressure from campaigns like Labour Against the Witchhunt. ← Should it be an offence to “intimidate a political candidate”?